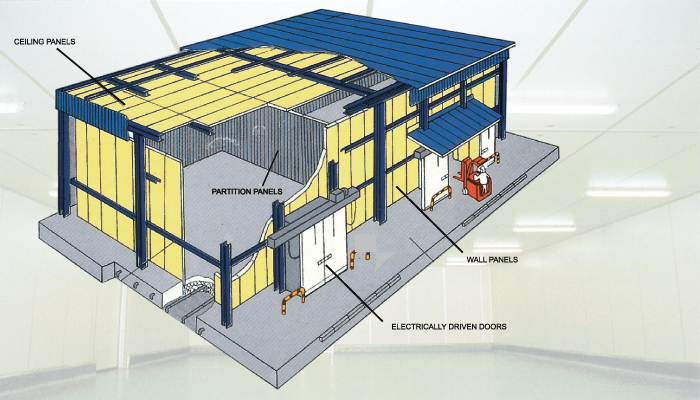 Insulated wall and ceiling panels shell incorporate a builtin locking system to provide a positive panels joining system and even spacing along the panel joints as provides by "clip lock" panels manufactured facings on each side shall be 0.6 mm. 25% gloss off white Color bond unless otherwise indicated on the drawings bonded under pressure to a core of self extinguishing grade expanded polystyrene. Other capacity and dimension are available. Please contact manufacturer.